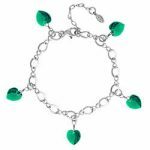 Charm bracelets are a great way to express yourself, and they also make great gifts. Personalize one of our bracelets or select one that has already been assembled! 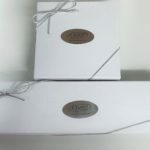 Your charm bracelet will come in a box with a bow! This would make for an easy and affordable gift. 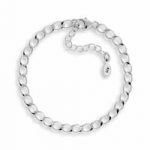 Our Charm bracelets are made with either .925 Sterling Silver or Pewter. 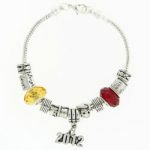 Charm bracelets can be personalized using Sterling Silver Charms or Pewter Charms. The average bracelet size is between 7 and 8 inches. The bracelets with a lobster clasp fit almost anyone, since they include an extension for larger wrists. Share life experiences and inspire without saying a word with Charm Factory! With almost 5,000 sterling silver and pewter charms to choose from, you can design and create a new charm bracelet or add to existing charm jewelry. From European- style bracelets to traditional link chains, our online superstore is the easiest place to design a charm bracelet that is 100% you. Express your attitude and share your experiences with beauty and style with jewelry! 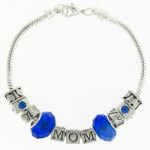 Charm Factory has charms for bracelets to mark and commemorate the most important parts of your life, including: Graduation, Births/Children, Marriage, Grandparenthood, Religious Events, Travels, Major Accomplishments, And More! 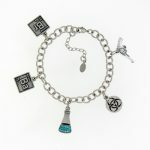 The design and style of your charm bracelet is up to you at Charm Factory. On our build-a-bracelet page, you can place bracelet charms where you want them. Then, just click and order! We will assemble your bracelet and ship it to you as soon as possible. 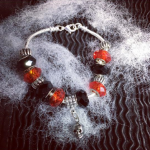 Want to add to an existing bracelet? No problem. All of our charms for bracelets come with jump rings, making it easy to attach and rearrange if necessary. Our bracelet charms are made with .925 sterling silver and are lead and nickel free. In addition to sterling silver charms, bracelets, and necklaces – we also have pewter charm alternatives for a more affordable price. Charm bracelets come in all shapes and styles! Try them all with Charm Factory! A timeless accessory, charm bracelets are the perfect gift for loved ones and can be worn for years to come with style and grace. To create and customize your own bracelet, get started on our build-a-bracelet page or contact us for more information! 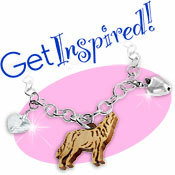 Share and inspire with charms for bracelets as unique as you! View cart “Garnet Bracelet with Crystal Hearts” has been added to your cart.